Earliest flowering apricot at our farm. The first flowering tree to bring in spring. The buds are bright pink in color produced in dense clusters all along the branches. The fruit is bitter- barely edible but the kernels have been used for extracting oil and to a certain extant for cooking. 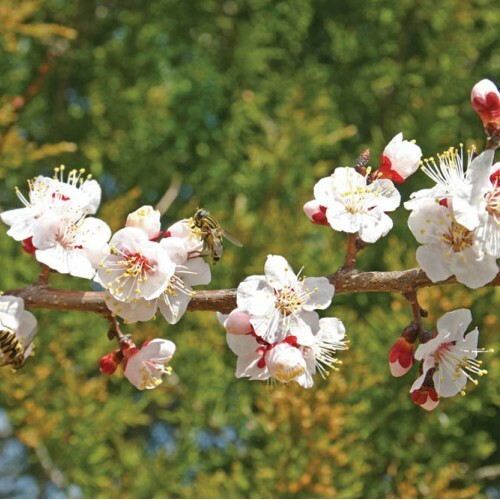 This primitive apricot may have been the progenitor of all apricots and would be useful if edible oil could be developed from it. The taste is like almond oil. 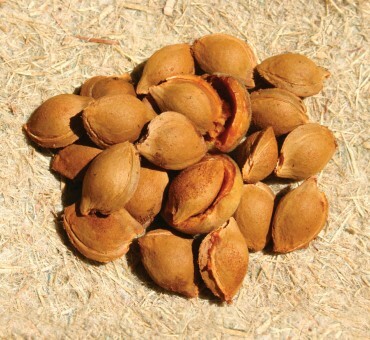 The seeds drop out when the husk splits just like almonds. The seeds are bitter but would be edible only in very small amounts. (1-2 kernels a day at tops.) 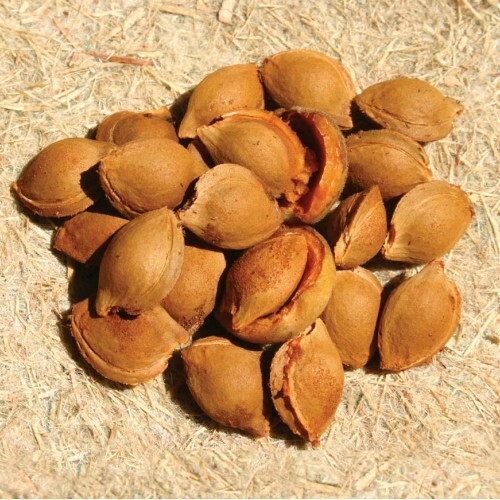 Otherwise not really considered edible and should be treated with caution due to the cyanide found within the seed. Self fertile but two of the same is best for yields. Other apricots will cross with it as well. One of those mountainous plants and does well in rock and sand. Not for clay. Zone 3ish-4 to 7. Not for humid climates really. 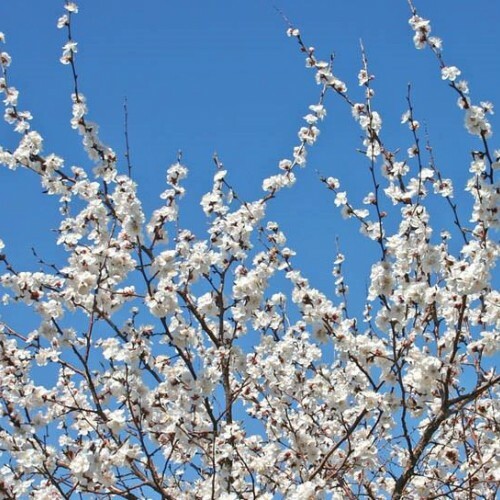 An easy tree to grow and flower but fruiting is tricky due to frost. Yields might be low at first. Mature trees do seem to set a lot of seed. Not sure if oil extraction is easy or not but not edible to any extent. More of an ornamental or useful for breeding.